Anne works in the Resource Recovery from Waste programme (RRfW) at the University of Leeds where her main role is to facilitate collaboration between their academic, government and industry partners. In 2016, Anne formally launched a growing business called 4Innovation. 4Innovation supports governmental organisations and companies in their transition towards the circular bioeconomy. Her responsibilities cover everything from project acquisition to managing contacts, finances, project delivery and much more. Anne’s progress to her current position started by becoming a zoo-keeper and eventually led to a PhD on biowaste-to-resource innovation. After her undergraduate in Wildlife Management, Anne was fortunate enough to win a VSB-scholarship for an MSc in Applied Ecology and Conservation at the UEA. It was her passion for collaboration between conservationists and others in society that gave Anne the advantage. Such collaborations were also the focus of her thesis on participatory governance. With that knowledge on board, and a year’s experience in agro-ecological consultancy, she decided to strengthen her credentials as an independent researcher by embarking on a PhD at the University of Surrey. Anne’s work focused on the ways in which partnerships developed during biowaste-to-resource innovation and how governance could support such processes. After her doctorate it was Anne’s ambition to combine a position in business with academic work. Settled into the Humber region, she started 4Innovation and soon after applied for a job at the University of Leeds. 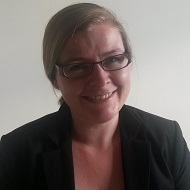 Anne joined the IES in September 2015. Anne is currently managing the co-creation process at RRfW for a shared vision for the waste and resource management landscape in the UK. Anne plans to keep growing in her position bridging academia and society and would like to become a chartered scientist. Most of all, she would like to become better at inspiring and motivating people.